The Pet Community, a website with the goal of bringing together pet lovers from around the world, challenges all to take this “How Well Do You Know Cats,” quiz. 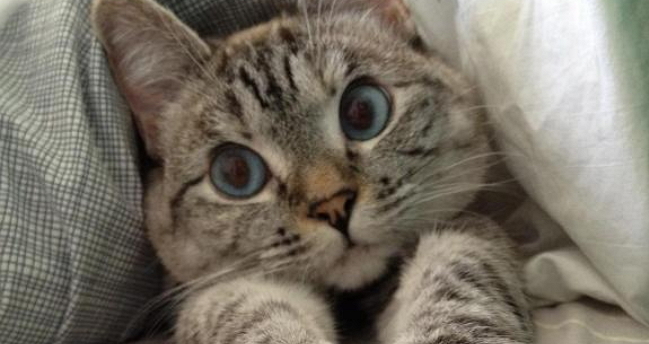 This is Nala Cat, one of The Pet Community Members and Internet feline celebrity. Her profile says, “Hi I’m Nala, 6 years old Siamese & Tabby mix. My owner adopted me from the shelter when I was 5 months. ” She is almost too cute for words. The Pet Community has put together a little quiz for all us cat-lovers to see how well we know our favorite animal. The website lets pet owners connect with fellow pet owners, share photos, videos, and discuss varying topics in the forum. They also have some fun features, like the quiz below. The site is presently building content and features and encourages folks who love their pets to get involved. For more information, please visit The Pet Community, and take their quiz below to see how well you really know cats. It’s fun to learn more about cats. They are such a joy. You can also find adorable cats and kittens on useful items such as a keychain and mousepad. Celebrate cats! Good initiative. I’m sharing this community with my friends who are cat lovers. I’m sure they’d love to be a part of this. Failed the Quiz! And I know plenty about cats’ psychology and the cats’ language (Felinese). I pet feral cats and usually know when to back off, when they’re going to scratch, when they’re going to run. Grew up with millions of feral cats around that I took the time to study because they’re the most fascinating creatures ever, raised two cats, now have three feral cats living in my house, and still failed the quiz. There’s just so much to learn about cats, so much knowledge. You can always learn tons of new information. Mysterious creatures.